Looking to save over the long weekend? Need to replenish your cellar after summer entertaining? Now’s the perfect time to stock up with our Wines of the Month! 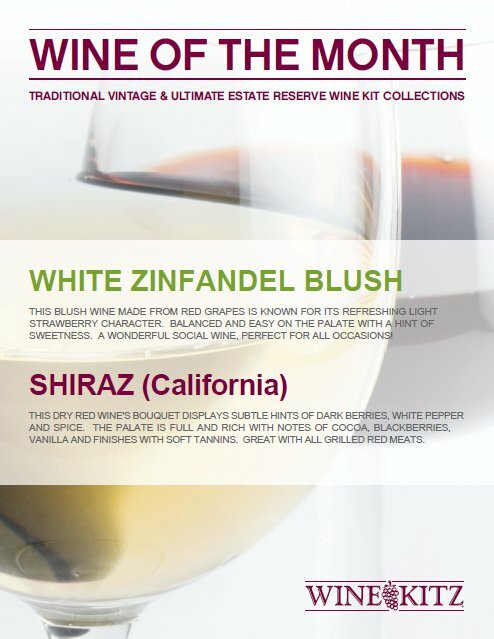 and Shiraz (red) wine kits. Our Californian Shiraz has a robust peppery bouquet with flavours of cedar, bold blackberry and plum, surrounded by layers of warm oak. Full-bodied dry red wine with a nice finish.